"Thank you so much for giving me a beautiful space to come home to! I am enjoying every bloom and look forward to working with all of you again very soon." "We are VERY happy with the results and would definitely use River's Edge again. Thank you!" "You guys are great! Patio looks beautiful." "I LOVE the work you did! My clients have noticed how beautiful the barn landscaping is… it really makes my place look even more professional and attractive! Thanks!!" "Doing business with you was such a pleasure. Also you have a great crew. People walking by stop to compliment me…"
"Always pleased with your service. Our grounds are looking terrific." "We are more than pleased and satisfied with the job you did. It's a beautiful job and we have received some wonderful compliments on your work. Thank you very much!" "The garden was re-born! Thank you so very much…"
"The yard has NEVER been so nice!! Thank you again. I'm so very happy to have learned of River's Edge. The world needs more people like you. Seriously!!!" "I am one happy camper. Thank you for everything." "It is always a pleasure to have Paul LaPointe and crew work on our projects. They always go beyond what could be expected." "We were very impressed with your company and thankful for all that you did to beautify our home. You could be supplying more rain! Carol has been great to work with from design to completion. Thanks!" "We're crazy about Carol Snow and she did a great job for us. If we need anything done in the future, we'll call." "Carol was very personable and helpful and I am pleased with the overall result. Thanks!" "River's Edge is always a pleasure to work with, as is Carol Snow. Thank you." "Carol Snow is as creative as she is delightful. Her attention to detail and ensuring a smooth and flawless job were phenomenal. Chris and the crew were so pleasant to work with and are masters at their craft. I also appreciate the flexibility and guidance Carol provided in helping me stay within my budget. I love my new garden! Thank you for everything!" "As always, perfect - the envy of the neighborhood. [River's Edge Landscapes crew is] superb." 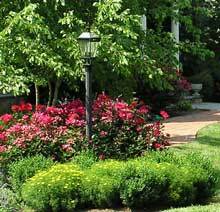 "[The River's Edge Landscapes crew] is hardworking, knowledgeable and very professional! Thanks for making us look so good!" "We were home the day your crew came to complete the job and we never even knew they were there until we looked out the side window and saw the tree had been staked. It was as if elves had snuck in and finished the job." Everybody did a GREAT job - thank you all so much! "As always, your crew was polite and hard-working. Thank you!" "We always look forward to the folks from Rivers Edge coming in Spring - it's become a 'regular habit'". "Love the quality of your work - and everyone is friendly yet professional." "Thank you very much. Carol, Don, and all the workers were great." 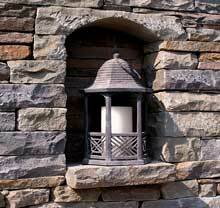 "Your work is always professional and the workers very easy to work with. You will get my business again." "Your men were here on time, understood the work to be done, set about completing their tasks in a very workman-like manner without further instructions. I would recommend your services to everyone. Thanks for a great job." "You and Carol and all of your crew have been the best to work with! Thank you." "Just want to say thank you for such wonderful service. 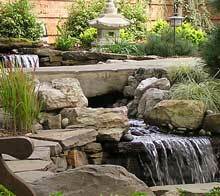 I appreciate your attentiveness and support at keeping my pond working." "I cannot tell you how refreshing it is to have a service that does what is says it will do, when it says it will do it, and then do it quickly & professionally. Carol Snow is terrific and so is your efficient, fastidious crew…"
"We are really happy with River's Edge and will continue to use you again in the future!" "As always, you are a class act." "I don't think I can adequately express our sincere gratitude for the job you've done…We couldn't be more excited to share our experience with friends and neighbors." "As always, you were a delight to work with!" "Very professional - much appreciated" local vineyard, Linden, VA "Love you!" "We will be happy to provide phone endorsements. You're a great team!" "One of THE best companies I've had the pleasure of working with. Superb workmanship and work ethics. 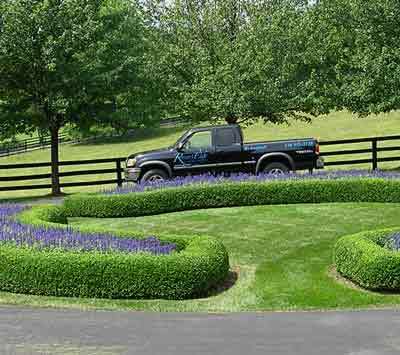 Is the only landscape company I will refer in the future." "While I'm sure this job was 'small potatoes' for you, I never felt that way - every part of the process with River's Edge [Landscapes] was handled with the utmost attention and professionalism. The finished walk is beautiful! And I can't say enough about the high quality of the work. Carol was great to work with. When we eventually do our back patio, we'll definitely be calling. Thanks again for everything!" "It's been a great experience! We are both thrilled with the results. 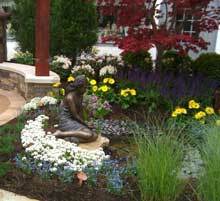 [Our River's Edge Landscapes designer] was fantastic and the project was designed and executed perfectly. We can't wait to start the next phase (wish it could be tomorrow, but…) So thanks and we look forward to dreaming about what to do next! !